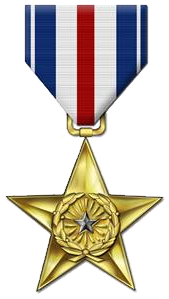 U.S. Army 1* Major General. Assistant Commander General 28th Division. 25-06-1966, age 68, San Francisco. Although over 21.000 American soldiers were given varying sentences for desertion during World War II, including 49 death sentences, Slovik’s was the only death sentence that was actually executed on 31-01-1945, age 24. After the war, Sebree served as the first Defense Attaché to Australia. Death and burial ground of Sebree, Edmund Bower. Sebree, died age 68, on 25-06-1966 and is buried on the National Cemetery in San Franscico. Ed married his high school sweetheart, Pauline “Polly’’ Weber, in 1919. Together they shared the joys and sorrows of his long and varied career. Polly only survived Ed by seven months, and they arc buried together in the Presidio of San Francisco National Cemetery. Both of them live on in the hearts of a host of friends. They leave three daughters, all married to Army men: Elizabeth (Mrs. Mark F. Brennan), Martha (Mrs. Robert C. McAlister), and Pauline (Mrs. John L. Olow). Brooke, Alan Francis 1st Viscount Alanbrooke "Brookie"